Honor those who have battled or are battling breast cancer when you and your whole family wear our Breast Cancer Awareness Hat. 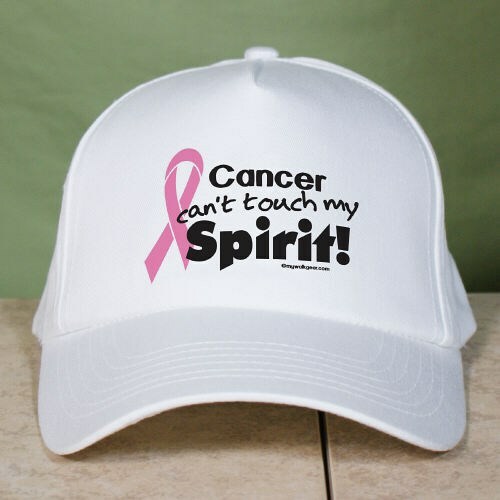 Our Pink Ribbon Breast Cancer Hat is ideal for any breast cancer survivor, warrior and advocates because it can help you spread the word about the cause on the go. Our Awareness Hats are printed on our premium white cotton/poly Hat with adjustable back strap for a one size fits all. MyWalkGear.com has many additional Personalized Breast Cancer Walk Gear for all of your awareness needs. Be sure to also take a peek at our Breast Cancer Awareness Sweatshirt and our Breast Cancer Awareness Mug for any upcoming walk event you may be participating in.